Price reductions lead to sales at Belgravia Group’s Union Row Townhomes. After hanging on for as long as possible, Belgravia Group has decided to lower their prices at their remaining townhome development, Union Row Townhomes. Located just South of UIC in the University Disctrict/Pilsen neighborhoods, Union Row was in need of a nice boost and with some price reductions, it’s definitely the shot in the arm the development needed. In just a couple weeks, Union Row is down to its last 10 townhomes and there’s no sign of it slowing down. Union Row’s sales center, located at 622 W. 16th Street, is open every day of the week from 10AM – 6PM. If you have any questions, give them a call at 312-829-4600. They’re great over there! Reminder! Join Belgravia Group’s Union Row Townhomes for their monthly art walk! I wanted to make sure to post a reminder of tomorrow’s private art gallery tour! Belgravia Group and Union Row Townhomes is teaming up with the Chicago Art Department to host a private art gallery tour tomorrow, Friday, May 8th! Everyone will meet up at Union Row’s model home, located at 644 W. 16th Street, at 7pm for some wine and around 730pm everyone will walk over to the Chicago Art Department’s gallery for their private gallery tour…and some more wine and snacks. 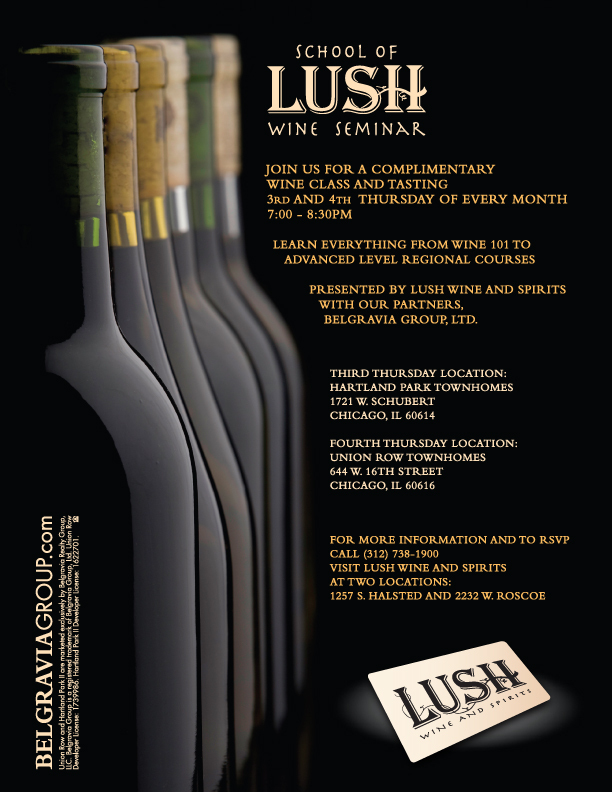 Give Union Row Townhomes a call if you want to RSVP to this really fun event, their number is 312-829-4600. Art gallery tour with Vespine Gallery and Union Row Townhomes! Union Row Townhomes is teaming up with the Chicago Arts District and Vespine Gallery for a private art gallery tour. For those who don’t know, “2nd Fridays” takes place…well, the 2nd Friday of every month in the Chicago Arts District which is centered around 18th Street and Halsted in the Pilsen neighborhood. At around 7pm, dozens of galleries open their doors for the public to come in and take a look at their pieces from that month, cheese and wine sometimes included. What’s nice about the Chicago Arts District is that the pieces are usually more affordable compared to those in the River East Arts Center in Chicago. I even bought my first piece two months ago for $30! The event will take place tonight, April 10th at 7pm where everyone will meet at the Union Row model home for some wine. 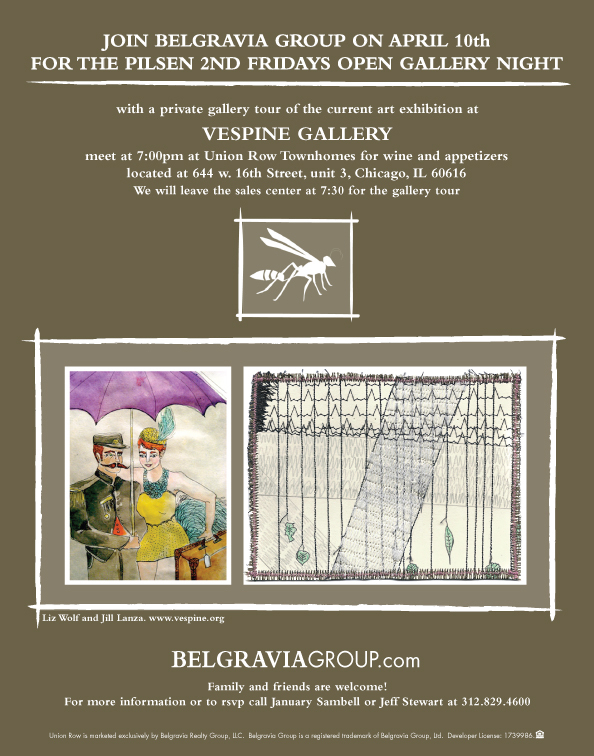 Then around 7:30pm we will head over to Vespine Gallery for our private tour and hopefully some more wine. Union Row’s model home is located at 644 W. 16th Street in Chicago. We’ll see you there!